posted by calgarygrit at 9:14 p.m.
That wasn't what I said at all. 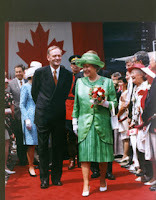 I said that Chretien overreacted in 2000 after Martin handled a situation badly, and that things disintigrated from there. 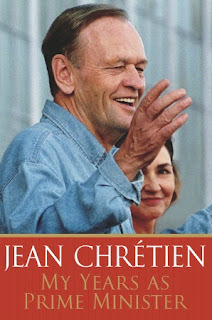 I also suggested that if Chretien had understood that Martin already controled the party following the 2000 election, Chretien probably would have handled things differently and the public war wouldn't have happened. Finally, I suggested that both men put personal pride before the good of the country when it came to Chretien's resignation date. Otherwise, though, a very good review. You succeeded in avoiding the garbage that I couldn't help getting into. By Jason Cherniak, at 9:59 a.m. 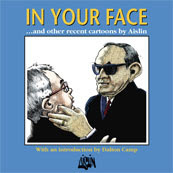 While the decision to not fight the court decisions was made under Chrétien's government, most of the actual parliamentary debate took place under Martin's, so it would be outside the scope of the book. The Ontario Court of Appeal decision was very clever. Since there was no statutory definition of marriage, only a common law definition, the Court recognized there was no need to give parliament time to bring legislation in line, since there was no legislation. This gave the PM of the day a stark choice. An appeal would be meaningless, as people started getting married the same day the ruling came down. 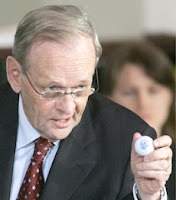 Chrétien could only choose between imposing the notwithstanding clause retroactively, or letting equal marriage stand. Fascinatingly, Vic Toews recognized (and complained bitterly in public) that the Court's and Chrétien's actions made it impossible to roll back marriage. 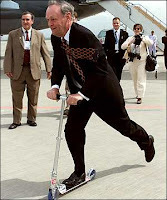 Every statement he and Harper later made talking about rolling back marriage rights was a bald-faced lie. They knew full well it was impossible to do so without both the notwithstanding clause and forcibly nullifying perfectly legal marriages. By Reality Bites, at 2:18 p.m.
By alia, at 6:01 a.m.
By Data recovery software, at 2:18 a.m.
By اخبار افغانستان, at 6:00 a.m.
By Amanda Stephanie, at 5:19 a.m.
By Physics Assignment Help, at 2:47 a.m.
By Amanda Stephanie, at 5:40 a.m. Thanks for sharing informative article. It will help a lot. Offer top quality assignment help for students in Australia. By Excellent Assignment Help, at 2:47 a.m.
By Essay Writing And Editing Services, at 3:05 a.m.
Nice post! keep sharing with us. By AssignmentHelps, at 7:29 a.m.